A kitten is a domesticated cat that is not yet fully-grown. Kittens open their eyes about seven to ten days following birth. The mother's milk is very important for the kittens' nutrition and proper growth. 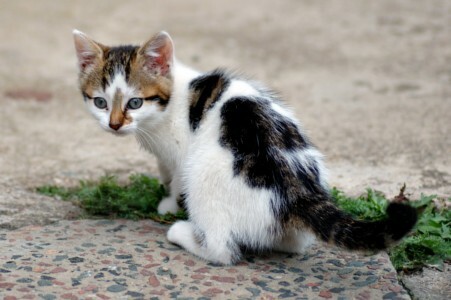 Kittens are highly social animals and spend most of their waking hours interacting with available animals and playing.